Aries: It is beneficial to invest money in land or fixed property. However, do not invest money on Wednesday and Saturday. Taurus: It is beneficial to invest money in silver and white products. Do not invest money in gold and on Tuesday. Gemini: It is not beneficial to invest money in haste. It is beneficial to invest money in food, wheat and grams. You can also invest some money in gold. Do not invest money in on Sunday. Cancer: It is beneficial to invest money in silver, rice or gemstones. However, do not invest money in iron, petroleum or electronics. Also, avoid investing money on Saturday. Leo: It is beneficial to invest money. It is beneficial to invest money in land-property and fixed property. Do not invest money in partnership and on Wednesday. Virgo: It is beneficial to invest money in food grains or electrical-electronics. However, do not invest money in valuable metal. Also, avoid investing money on Tuesday. Libra: You should think before investing money. 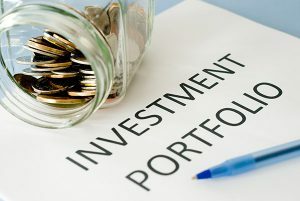 It is beneficial to invest money in petroleum, iron, electronics and metals. Do not invest money in gold and grains. Scorpio: It is beneficial to invest money in grains such as wheat, rice, gram etc. However, do not invest money in fixed property. Do not invest money on Wednesday. Sagittarius: It is beneficial to invest money in land, gold or yellow metals. However, avoid investing money in iron, electrical, electronics and petroleum. Capricorn: It is beneficial to invest money in the first half of the month. One can invest money in silver and white products. Do not invest money on Thursday. Aquarius: It is advisable to take proper decision before investing money. It is beneficial to invest money in paper, clothe and chemical. It is also profitable to invest money in mutual fund. However, do not invest money on Monday. Pisces: It is profitable to invest money. It is beneficial to invest money in small schemes and fixed property. However, do not invest money in iron and vehicles. Also, avoid investing money in partnership. Remedy: It is not beneficial to wear garland over the clothes. It weakens Jupiter.